With over 10 years in practice, Julio Clavijo-Alvarez, MD has the expertise patients need to achieve their aesthetic goals. During his many years of training, Dr. Clavijo-Alvarez worked with several of the top surgeons in the United States. 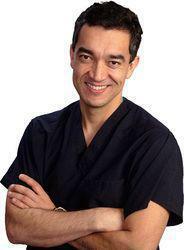 He has exceptional knowledge in all areas of cosmetic surgery, including breast and craniofacial surgery. Dr. Clavijo-Alvarez attended medical school in his native country, Colombia, practicing primary-care medicine on a navy base. During this time, he also participated in military missions and provided lifesaving aid to people living in remote jungle areas. He completed a doctorate at the Autonomous University of Madrid before moving to the United States. Dr. Clavijo-Alvarez spent several years performing intensive medical research at Harvard University's department of Trauma and Critical Care. His passion for research later took him to the University of Pittsburgh, where he studied advances in biotechnology and regenerative medicine. After finishing his training in plastic and reconstructive surgery at the University of Pittsburgh, Dr. Clavijo-Alvarez completed a master’s degree in public health before joining the Pittsburgh community as a practicing plastic surgeon. Today, he's known as one of Pittsburgh's top plastic surgeons and the president of the Greater Pittsburgh Plastic Surgery Society. Dr. Clavijo-Alvarez takes pride in offering each patient top-quality medical care and natural-looking results. Visit him at ReNova Plastic Surgery & Medical Spa.